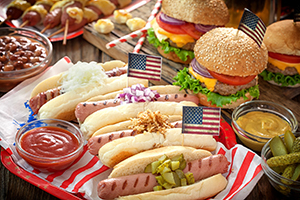 Memorial Day is the start of picnic season for millions of Americans. From family reunions to graduations parties, summer brings on many reasons to celebrate. Bring on the corn on the cob, burgers, and pie, but don’t let unsafe food handling ruin your event! For a complete list of safe cooking strategies, check out what the Food and Drug Administration (FDA) recommends at www.fda.gov.